I get really behind in my magazine reading. So much so that it is usually a vacation or school break when I catch up. Case in point—I found this recipe for Spicy Herb Salt this summer while I was reading at the lake. It was from Food and Wine from October 2011! I have another stack that is getting taller and taller that I hope to tackle over Fall Break or Thanksgiving. This recipe calls for lots of rosemary and lots of thyme. I grow both so I decided to make this up this fall for holiday gifts. Getting a cup of rosemary is no problem because I have a monster rosemary bush. I have quite a bit of thyme too but do you know how many thyme leaves it takes to make one cup? It took me about 45 minutes to strip the thyme leaves from the stems. 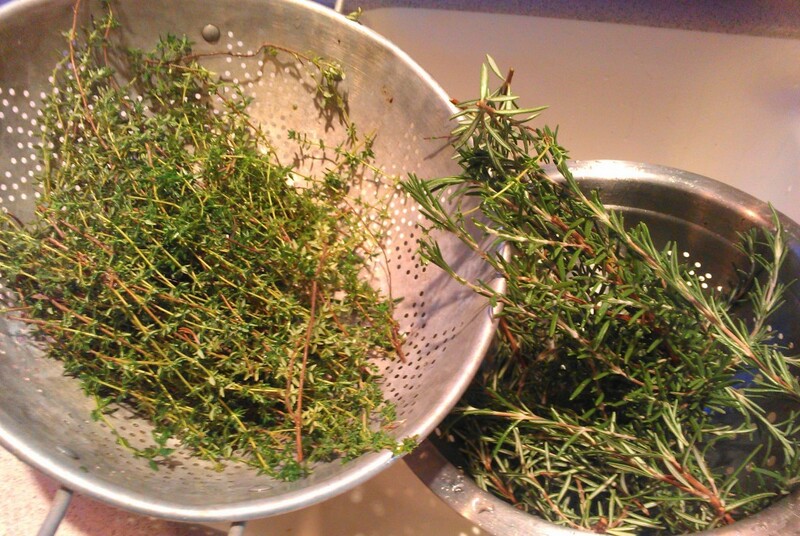 In a food processor, pulse the rosemary leaves, thyme leaves, and garlic slices until chopped. Add the sea salt and pulse until finely chopped. Add red pepper flakes and pulse to blend. Spread mixture in an even layer on a large rimmed baking sheet and let stand, stirring occasionally, until dried, about 2 days. Just processed and ready to dry. After mixture has dried, transfer the to a jar and seal. 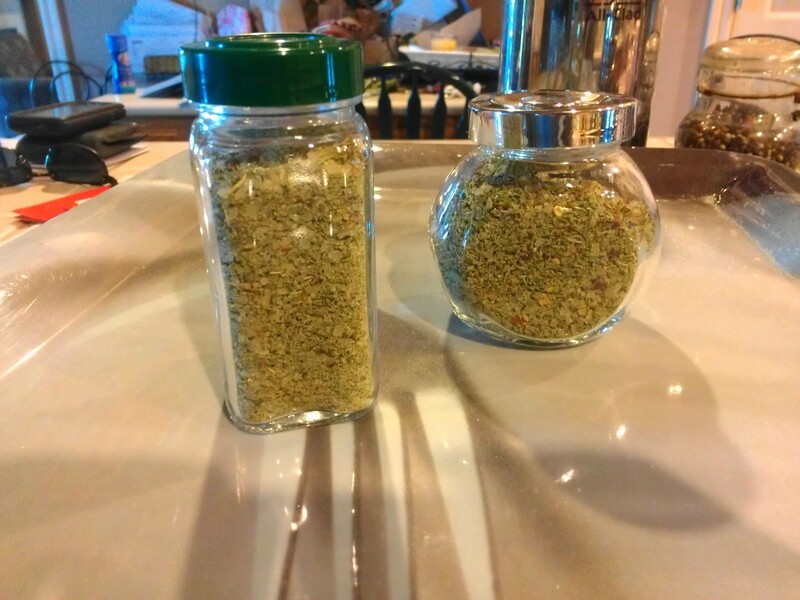 The herb salt can be stored in an airtight container for up to one year. Rub over big cuts of meat, like leg of lamb, pork loin, or thick steaks before grilling. I got two jars, probably a total of 4-5 oz. I hope I can strip enough thyme leaves to make some more. I would like to keep some for myself and not give it all away this Christmas. I have been posting virtual flowers all summer for sweet Abigail, a beautiful two-year-old who is battling cancer. Today, I want to send something specifically to Aimee, Abigail’s mother. I can’t imagine what she is going through and Aimee also needs our thoughts and prayers. This is a strange and alien looking appendage. Eliot’s tail got in the way of this shot. Aimee, remember that no matter how difficult and prickly things get, there is always a beautiful flower at the end to reward us all. 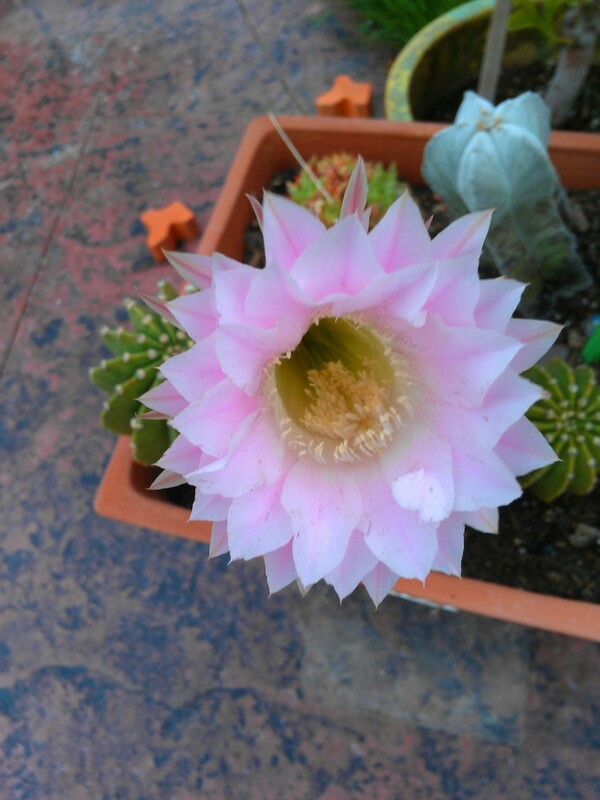 The beautiful bloom that came from the weird looking sprout. Wow. It’s hard for me to comment on what’s above once I get to Abigail and her flower. That always stops me in my tracks, makes me hug Dudette tighter and has me sending prayer upward for the little girl and her family. Thank you for doing that. Thank you for commenting and sending prayers and thoughts to Aimee and Abby and the rest of their family. Thanks, Christiane! I want to try the flavoured salt too. 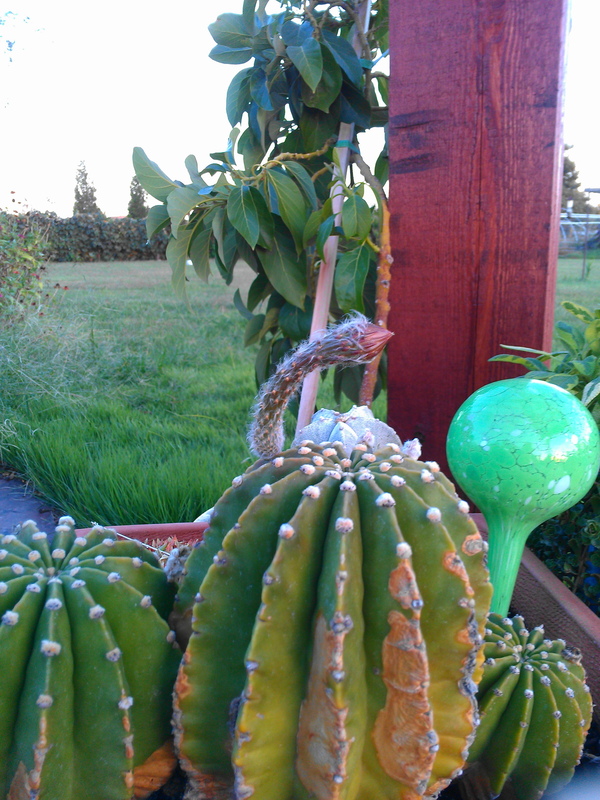 You have some great succulent plants in your garden, Debra. Thanks, Angie. 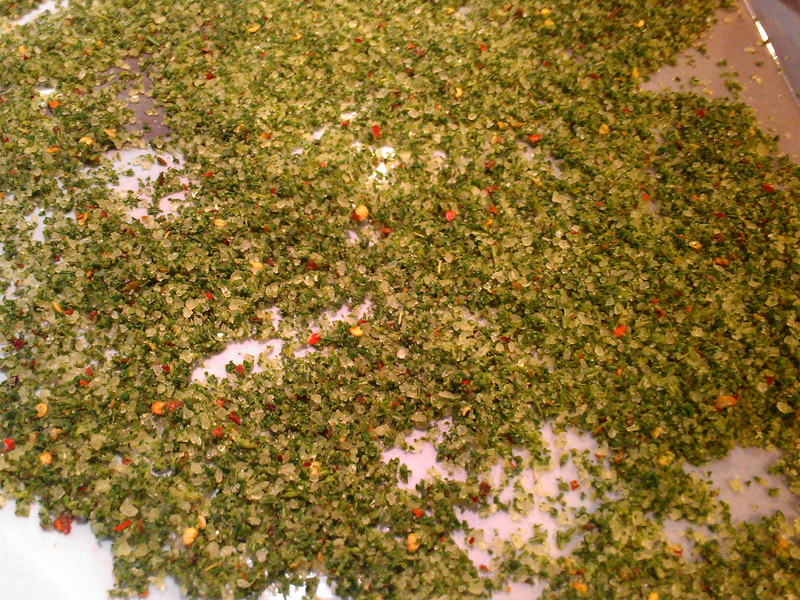 I hope I can find the time to strip off some more thyme leaves and make another batch (or two). I can’t wait to try this stuff out! What a fabulous thing to do with fresh herbs! My thyme didn’t do too well this year, but I have lots of rosemary, sage, oregano and mint. I might have to try this process with another herb with the rosemary. I love this! Thanks for sharing! I think a sage salt might be fabulous. I have some sage too and might try a rosemary-thyme-sage salt. 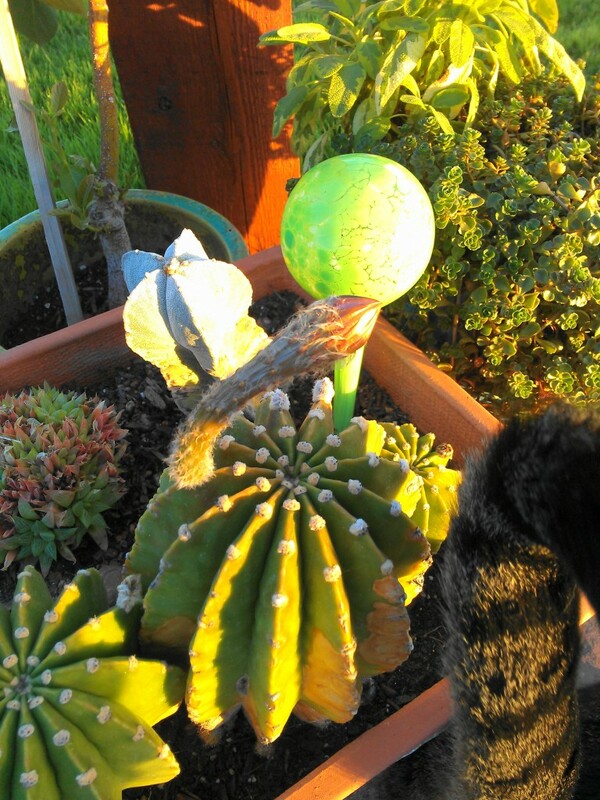 Those cactus flowers are worth the wait and do show us a lesson I think. What a great way to spend an hour! Now you have herbs all year long! Yep. Need to do that again this weekend. This makes the kitchen smell wonderful.